Accurate traffic data is required to evaluate construction projects and to monitor changes in traffic. This basic data is necessary to make realistic prognoses on future traffic volumes and to take the appropriate measures. EasyCOUNT is a non-intrusive single vehicle detector with speed and gap measurement as well as vehicle length classification. 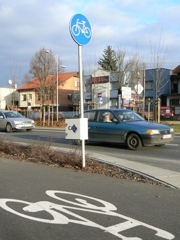 The sensor can be configured for uni- or bidirectional traffic detection. Besides the integrated radar sensor (for sidefire operation) several external sensors (for multi-lane overhead operation) can be connected. extensive alarm management: slow traffic, jam, low battery, theft (optional movement sensor) etc. Automatic data transfer is realized by an intelligent GSM/GPRS communication management. On basis of a multi-level fault tolerance concept and permanent monitoring of the data link, complete data transfer is guaranteed. The system is completed by a comprehensive software tool (DataMANAGER) for site administration, remote system configuration, statistics generation and visualization as well as archivement of traffic data. 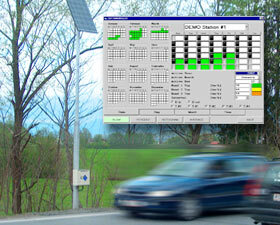 www.tirol.gv.at | More than 100 solar-powered EasyCOUNT traffic counters are steadily collecting traffic data in Tirol (Austria). is a sophisticated bicycle counter developed on the basis of CAT’s reliable EasyCOUNT detector with radar or induction loop sensor.